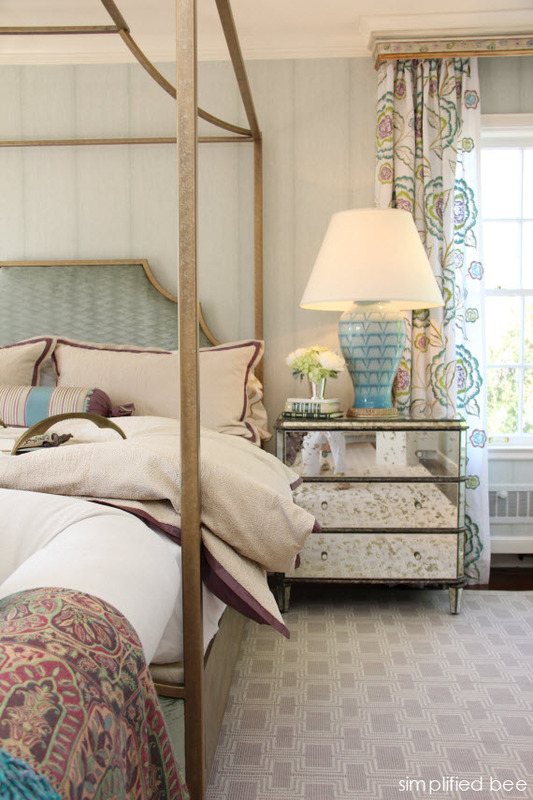 Embroidered linen window treatments inspired the room’s tranquil color palette of lavender, blues, greens and ivory. It’s the gilded canopy bed however, that takes center stage. I love that it has a soft upholstered headboard – it’s a nice juxtaposition to the metal frame. 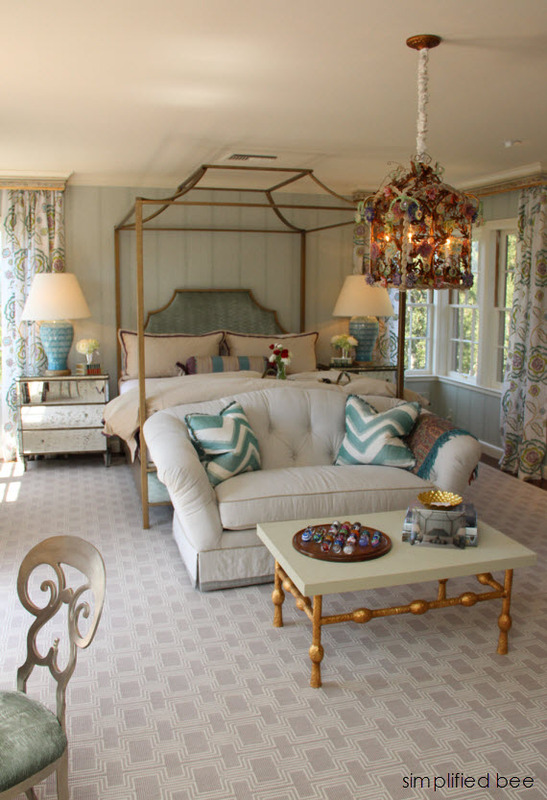 An ornate hand-beaded floral chandelier (which reminded me of a birdcage) hangs elegantly above a seating area placed at the foot of the bed. 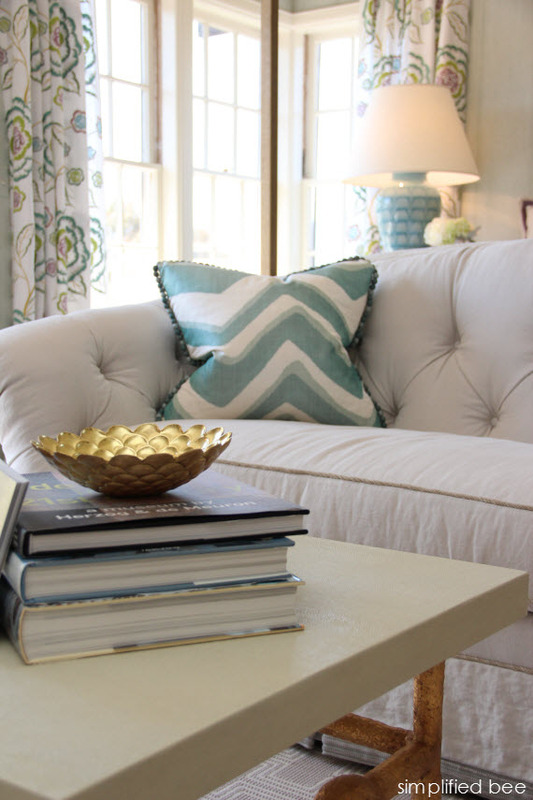 The pair of Bunny Williams table lamps beautifully mimic the movement and pattern in throw pillows on the sofa love-seat. 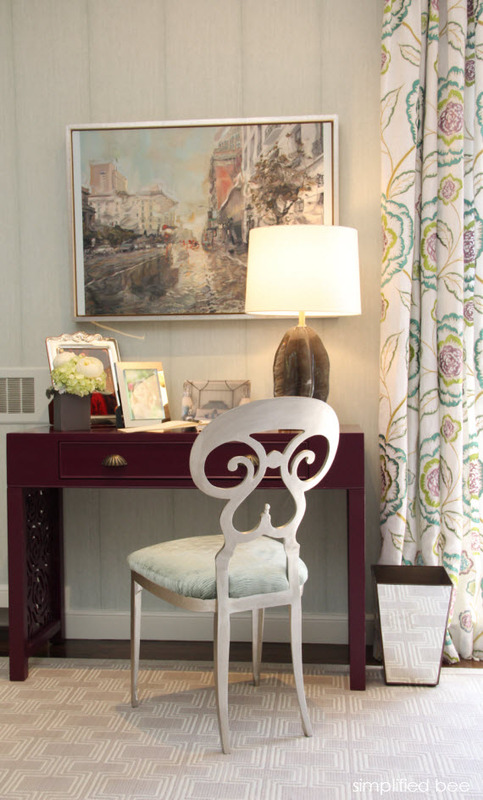 Those table lamps are gorgeous and are a personal favorite. 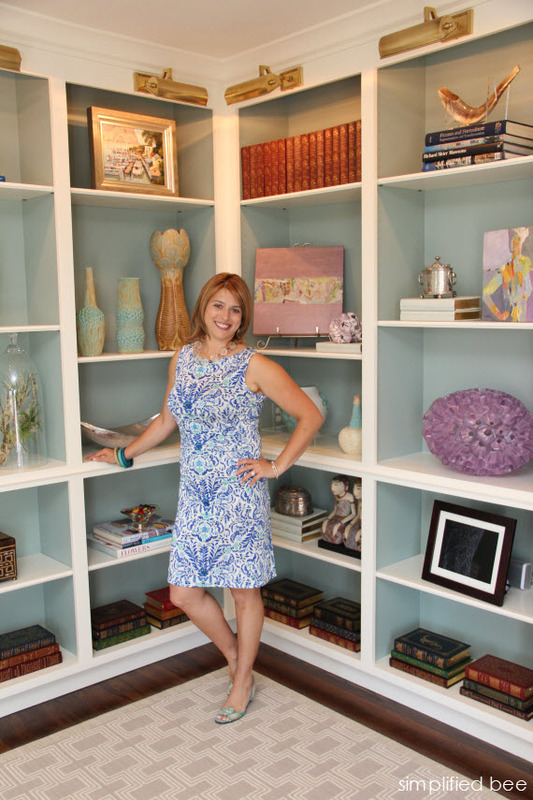 Melodie (pictured above) designed a custom corner bookshelf lined in blue paint. It not only balances the room, but displays beautiful collections of art, books and worldly treasures. 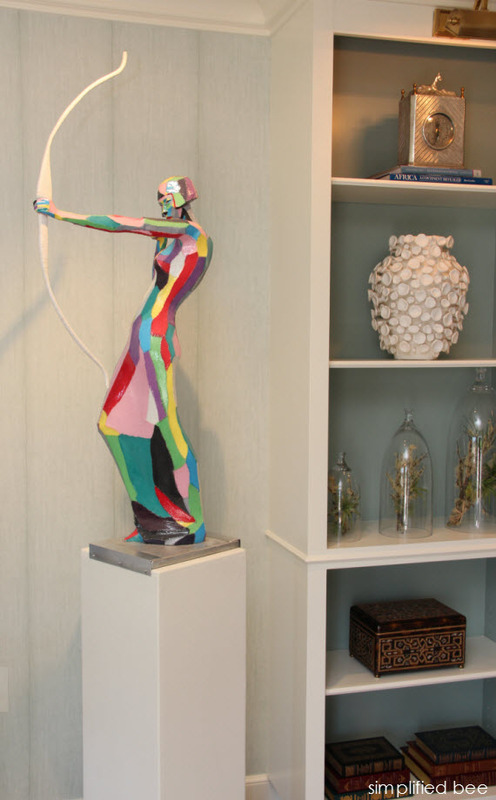 I also loved the sculpture of the colorful archer she selected and place just beside the bookcase. 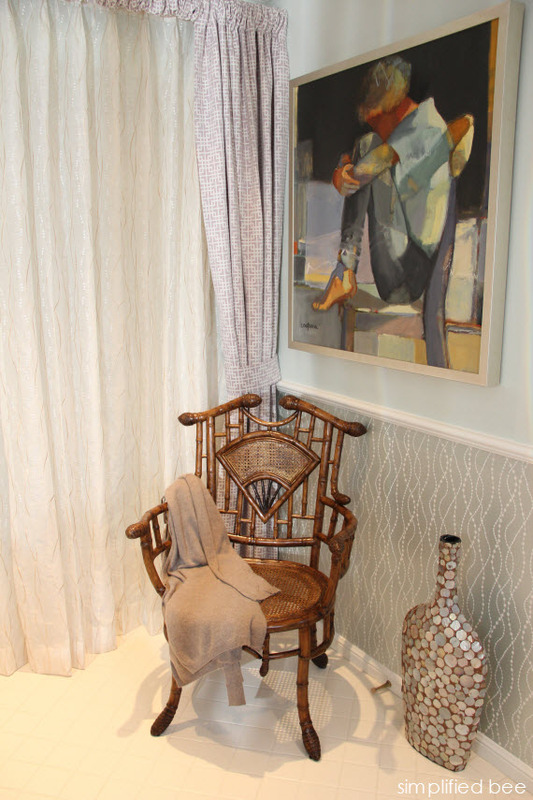 Just of the guest bedroom is the Dressing Room and Bath by Jana Meewes Fung of Julianne Quelle Interior Design. 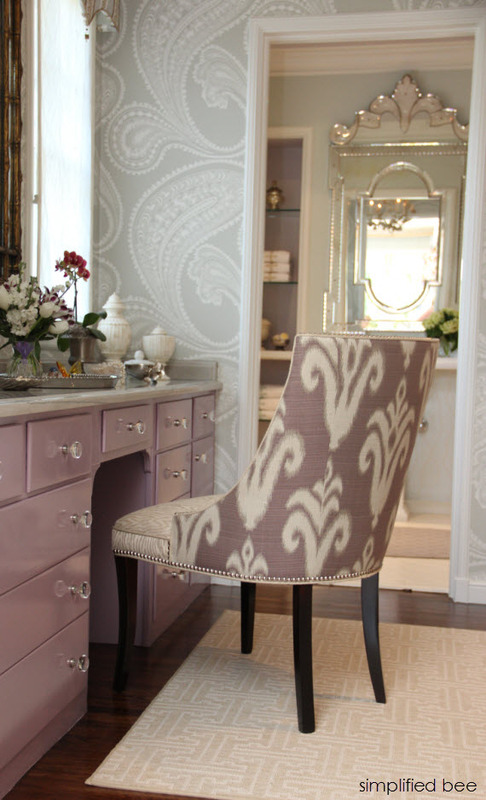 It’s restful sage, lavender and taupe color palette allows for a seamless transition between the two spaces. Standout elements in this space include an exquisite Venetian mirror, bamboo “Dynasty” chair and luxurious fabrics. That’s me in the mirror, but I loved this vantage point so much that I wanted to include the image. 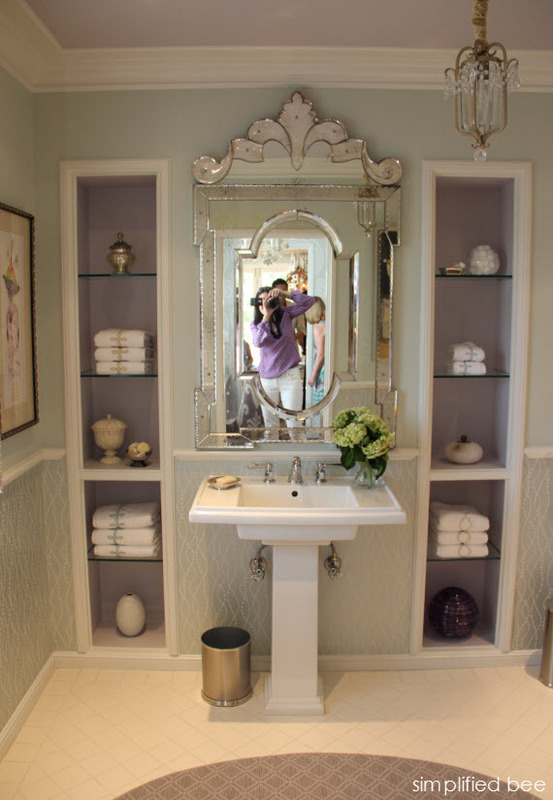 Don’t you love the inset shelving units flanking the pedestal sink? These spaces are so fresh, crisp and chic. Love! Don’t you?